Some badminton players just play casually and some want to play professionally someday. Universally though, there’s one badminton move that remains every player’s favorite: the smash. If you’re just looking for my personal Quick Pick, I highly recommend the Apacs Edgesaber. It’s quick through the air and delivers a powerful punch guaranteed to stun your opponents. If you’ve ever jumped up in the air and smashed the shuttle down, you know what I’m talking about. 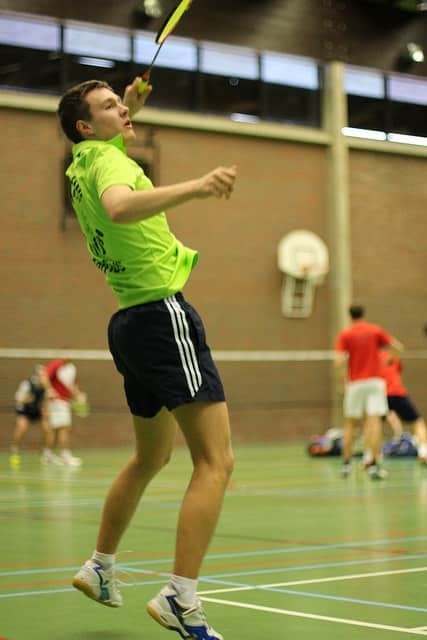 It’s the most powerful move in badminton and anybody can do it. If they have the right equipment and the right technique. Let’s teach you a little about both today. We’ll start off with looking at the best badminton rackets for smashing and then move into the technique. So pick up one of the rackets below and start improving your badminton smash today! 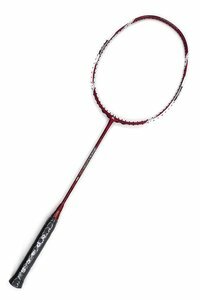 There are several characteristics that go into making the best badminton racket for smashing. By having the weight of the racket concentrated in the head, you can add power to your strokes easily. As you smash the birdie, the head heavy balance will let you send it soaring over the net. This gives you enough weight to smash through the shuttle but keeps it light enough to allow you to move quickly. While the stiffer a racket is, the more it transmits vibrations, it also gives you a lot of power. Highly stiff rackets are the best for hitting the shuttle over the net with some force. As always, you’ll want to pay attention to your strings when designing or looking at badminton rackets for aggressive players. The string tension and width govern how long a shuttle will stay in contact with your racket. Now, many badminton rackets come strung anywhere from 20 – 24 lbs as standard. This is completely fine! However, if you want the absolutely most powerful form of your racket, try and get the strings restrung at a higher tension. Also pay attention to the type of string you have on your smashing badminton racket. Thinner strings produce more power allowing you to hit harder. Any badminton professional will tell you technique wins over power any time. So it’s true that you need a good badminton racket designed for aggressive play but you more importantly, you need to learn how to smash. Want to learn? It’s simple. The first step is to hold your badminton racquet in your hand in a forehand grip. If you extended your hand out with your thumb up, the racquet head should be pointing sideways. Next, turn your body and shift your weight to your back foot. You’re going to want to spring off your back foot in order to really engage your body as you swing through the shuttle. Bend your elbow slightly and lock your wrist. As the shuttle comes towards you, you’re going to want to swing your arm forward and straighten your elbow as you hit the shuttle. To get the most power, try to hit the shuttle at the highest point possible. This allows you to aim downwards at your opponents court. For a little extra power,jerk your wrist downwards as you hit the shuttle. This will angle your shot down and make the entire motion more powerful. 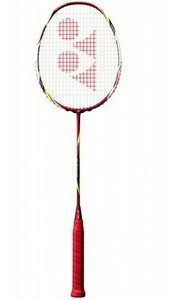 The Yonex Arcsaber The Arcsaber comes in at #2 on our list of best badminton racquets for smashing because it was specially designed for aggressive badminton players. The frame is made from neo carbon nanotube which provides a highly stiff frame for players. If you’re an aggressive player who loves to smash the shuttle, you’ll appreciate swinging hard with this racket. The Arcsaber is one of the only rackets on this list that comes strung at 24 lbs also. As mentioned later in this article, tighter strings provide you with more power to smack the shuttle over the net. With a highly stiff frame and tight strungs, the Yonex Arcsaber is designed for the intermediate to advanced player who loves to play aggressively. 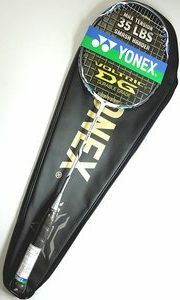 If you’re looking for an aggressive badminton racket to allow you to dominate your opponents, this is the one for you. Coming in as a mid-market contestant, the Apacs Edgesaber blew us away with it’s power for the cheap price. Made out of carbon nanotube, the Edgesaber is light enough to be easily maneuverable but holds enough weight to power through the shuttle. The head frame is isometric to create a larger sweet spot which is great for beginner and intermediate players. 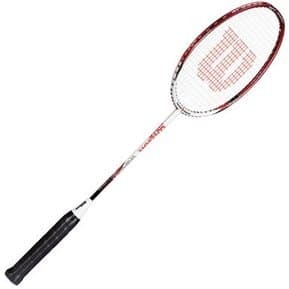 This racket comes in at a 4U weight class(80 – 85 grams) making it one of the lightest rackets on our list of aggressive badminton rackets for smashing. Contrary to the other rackets on this list, the Apacs Edgesaber does not have a lot of weight behind it. What this racket is amazing at though and the reason it made this list, is it’s speed. As many professional badminton players will tell you, technique beats power every time. The saying is doubly true for smashing with this racket! For the players who like to stay light on their feet and swing fast, the Apacs Edgesaber is perfect. For the cheap price, it’s an unbeatable lightweight aggressive badminton racket. The Lin Dan version of the Yonex Voltric 7 is specifically meant to let players smash. The frame has extra thickness at the 2 and 10 o clock positions in order to provide strength and mass to your swing. To balance the frame, the sides of the head are thinner allowing the frame to bend more. This also reduces air resistance as you swing this racquet through the air. To provide a large surface to hit the ball with, the Yonex Voltric 7 has over an 80% wider surface than an ordinary badminton racquet. The designers spent a lot of time making sure this badminton racquet is comfortable to use so they also incorporated a sound filter. If you’re one of those people who loves hearing the shuttle hit your racquet, this is the smashing badminton racquet for you. Coming in at one of the cheapest badminton rackets on this list, the Yonex Voltric 1DG still astounded us with it’s power and speed. This badminton racket weighs between 85 – 90 grams and comes standard with a grip size of G5(the standard). The weight of the racket is distributed to create a head heavy balance, perfect for players looking for a little more weight to put into their shots. The string tension falls around 19 – 22 lbs. To be honest, for an aggressive badminton racquet this is a little low. However, we found as we started to play with this badminton racket, that the low weight and the head heavy balance more than make up for the looser string tension. Once you feel the Yonex Voltric 1DG in your hands, you’ll know you’re holding a highly capable smashing machine. How do you know the Wilson Fierce C1500 badminton racquet is good at smashing? It’s made to be fierce! Contrary to other rackets, this Wilson badminton racket is made entirely out of one piece carbon fiber frame. 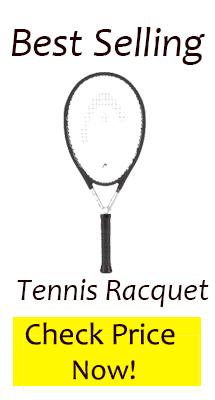 This simplifies the construction and design of the racquet but does not allow for a highly flexible head. The head is in a quad shape which creates a large sweet for players. 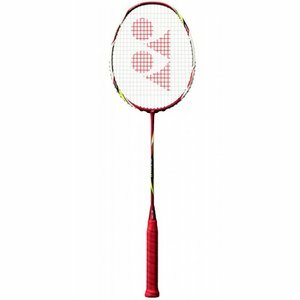 Wilson designed this badminton racquet to appeal to beginners looking for a starter racket that doesn’t break the bank. In that, the Wilson Fierce C1500 is absolutely amazing! 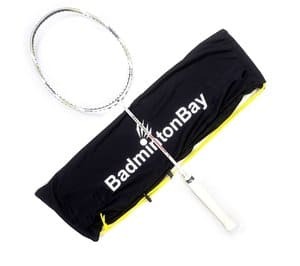 If you’re just starting to play badminton and want to hit hard, this is the beginner level badminton racket to get. Hi,Apacs edgesaber 10 or edgesaber z-slayer? Which racket series do you mean? I recommend the Apacs edgesaber personally. I love the way it slices through the air and delivers power on its strokes. I really like the Apacs edgesaber for it’s smoothness through the air and the power it delivers on hard strokes. 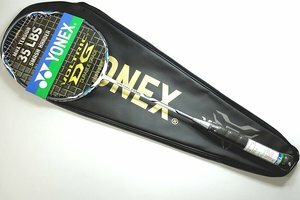 Very true Yonex Badminton is the best badminton in the market. The best of them is that the combination of a stiff shaft and a head-light balance means that plenty of players can benefit from the speed of this racket, giving you the best chance of reacting to anything your opponent can send over the net.